At the start of the year Brightbulb Design was invited to tender for the new X One Design Class Association website. Against stiff competition Brightbulb Design was chosen as the preferred supplier for the design and build of the website. The X One design yacht was designed by Alfred Westmacott who specialised in building small day racing boats. The class has grown to over 200 members and therefore a new website was required to help promote the association as well as showcase the events and racing that takes place. After an initial meeting with the class secretaries Brightbulb quickly built an idea of what the association required. A user friendly responsive website which showcased some of the fantastic imagery that the x one design class has captured from their many racing events. Also a reorganisation of the website was needed with the removal of duplicate content making it far easier to manage and update race results, boats for sale and other sections of the website. A members area was also a required feature. We created a member portal that only members would be given access too which held key information required for x one design class members. One of the other important factors for this build was the time limit. 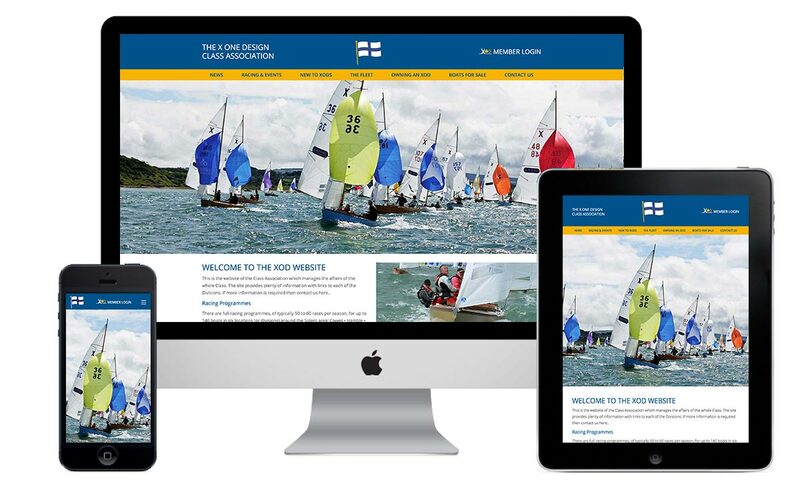 The X One Design Class association wanted to have the site ready for Cowes week as they see a dramatic increase in site traffic over this period and wanted to have the impact of a new site for their viewers. We managed the site planning and strategy to accommodate, including factors such as working with a committee for sign off, of each stage of the build which can often add additional time to a project. We were very pleased to announce the launch of the website in time for the start of Cowes week, even managing to fit in 2 lengthy backend training sessions with the class secretary and a committee member who will look to manage the site which the client was very pleased with. It was a perfect time to launch a site for an association involved in Cowes week and was a very successful site launch.